We are committed to putting the needs of our students first. We continually strive to be the very best in the field of learning development. Because of our skills and dedication, we have been unmatched in our success for over 16 years. We are a husband and wife team of learning specialists who are passionate and excited about what we do and what we see every day that is changing the lives of our students forever. As well as being experienced classroom teachers, we are trained and licensed in Cognitive Development Training, Phonemic Reading Therapy and Reading Comprehension Development. Our teaching backgrounds in reading and math as well as 16 yrs of experience in the above areas have allowed us to become the first and most experienced provider of this type of learning development training in the Louisville area. Being leaders in learning development, we have a commitment to be the very best we can be. We are also committed to putting the needs of our students first. Because of our skills and dedication, we have been unmatched in our success. 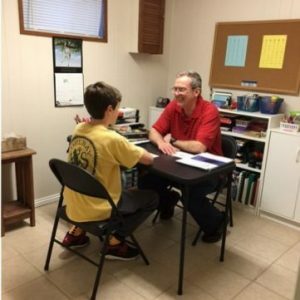 We follow an at home model…full learning center in a walk-out basement that allows for more affordable fees as well as more comfort for our students and parents. 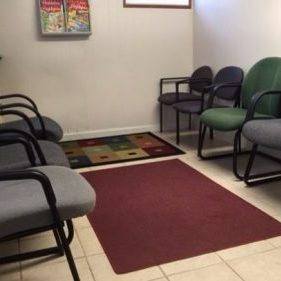 A comfortable waiting room is provided for our parents. Individual training rooms offer a one-on-one experience for our students to create the most ideal situation for better and more successful training. We are devoted to improving the lives of students who are challenged by learning disabilities, reading and math difficulties, as well as students who just want an extra edge in their academic pursuits…those who want to reach their academic potential. Many want to be able to work faster and more efficiently for better focus, concentration, and memory. Some desire to do better in their standardized testing or on their ACT scores. We combine with our programs our highly successful life skills training, as well as organizational skills for the dramatic and permanent increase in learning skills that our students need and deserve. The synergistic effect of this training helps students to soar to success and creates life-long improvements in the classroom and beyond. Think Smart learning development training gets to the underlying cause of the learning or reading problem rather than just addressing the symptoms. We correct the problem at its source. This sets us apart from conventional tutoring centers. For 16 years, the power of our program has been unmatched in its success. Only Think Smart uses Life Skills Training in conjunction with learning development training to insure success on every level. Students learn how to transfer their new skills to every area of their lives. We turn the frustration of learning and reading difficulties into lifelong success. Contact us today to see learning and reading struggles vanish and learning potential soar!